Summer is the season for alfresco dining and casual parties and rooftop get-togethers, so what could be easier than throwing on your favorite dress or pair of capris and carrying a lovely clutch to all those soirées you’ve been invited to? Adrienne of The Rich Life in Wine Country and I agree that a clutch seemed the perfect wardrobe item to focus on for July’s “How I Wear My” roundup! 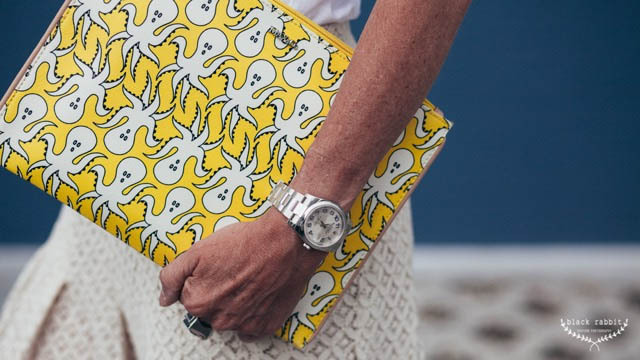 As a terrible bag addict I could not help being charmed by the great photos featuring clutches that came our way, and I love to see how everybody carries theirs during the summer months. I think you will enjoy seeing this post as much I did putting it together! I love these dreamy colors on Adrienne and I’m with her—that Adora clutch adds the perfect splash of color to these cool tones, and Tamera’s lovely bracelets bring a touch of seaside glamour to this entire ensemble! A close-up of the clutch, as well as the gorgeous bracelets! Oh I love stories like this! I love Alice’s memory of her mom buying the bag, as well as the fact that she looks so amazing in this outfit, carrying that vintage clutch! How wonderful of Denton to point that out! I really love this chic summertime look on Teresa. That Prada clutch was such a great purchase, that is never going to go out of style. This is another of Ana’s lovely and feminine ensembles and that beyond-gorgeous vintage pearl clutch takes the outfit over the top. She is so lucky to own such a beautiful bag. Look at the detail, below. 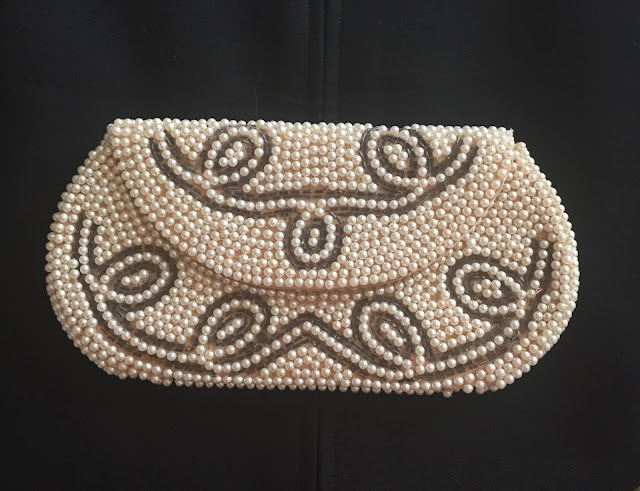 Ana’s gorgeous vintage clutch. Wow! I like this wonderful pairing of a neutral-colored clutch, which adds a touch of elegance and sophistication to her print dress. I own a very similar leopard clutch that I bought from Sheree of It’s Not That Deep and I’m with Deja, an animal print clutch always punches up an outfit! I love this all black look on her. I really like this feminine-with-edge look Nora has put together. I especially love that long necklace, don’t you? I do love a vintage clutch and this one is in amazing shape for being 25 years old! 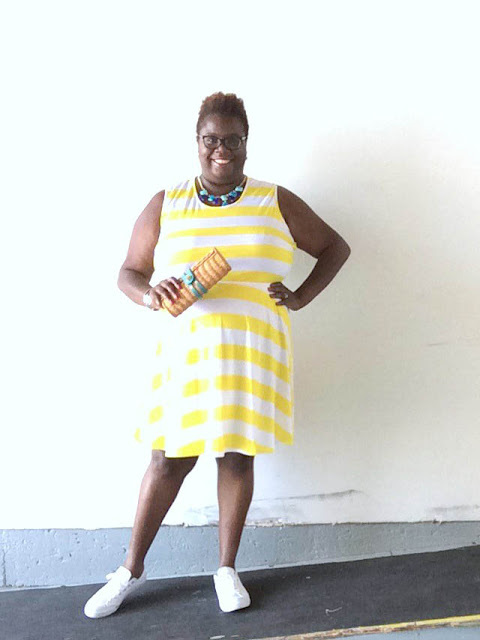 I love that Happyface carries it while wearing other accessories in bright and bold colors. A detailed shot of Happyface’s vintage Louis Vuitton clutch. 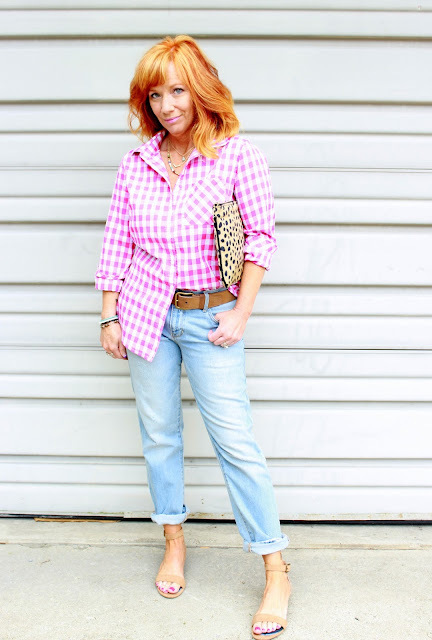 I agree with Debbie, a leopard clutch is something every woman should have in her closet and I love that she has worn it here with a gingham shirt in bubblegum pink. I really like the colors in this entire shot, including Debbie’s vibrant red hair! I think this clutch is so whimsical, colorful and fun. Now I want one! 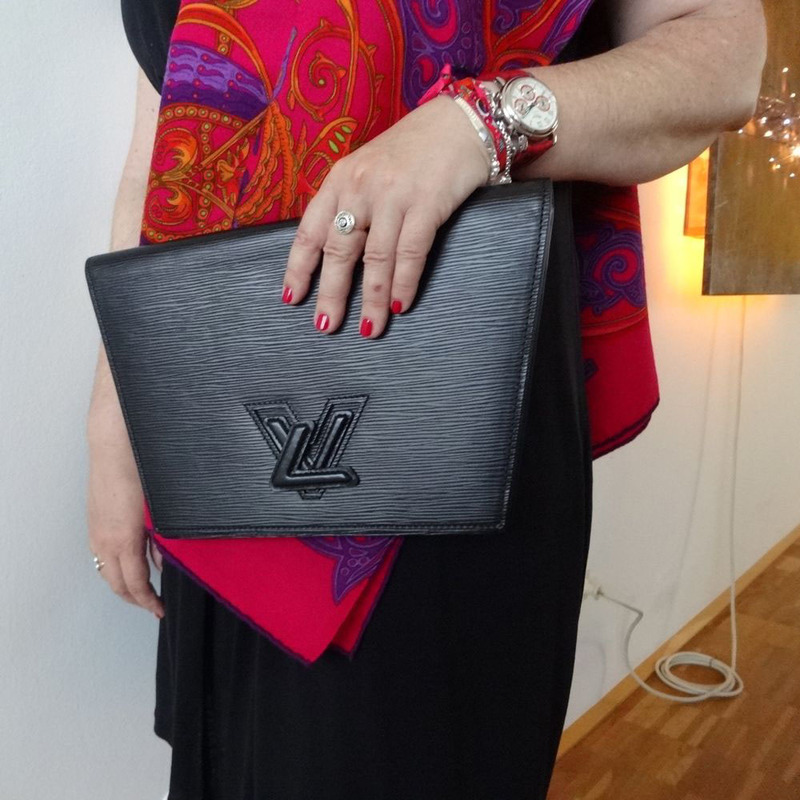 A close-up of Yvonne’s cool clutch. Malia looks like so vibrant and sunshiny in this ensemble and I agree with her sentiments about wanting to dress up and be casual at the same time during what can be a hectic season! Darlene of Whosaprettygirl looks so wonderful in this colorful ensemble, all thrifted except for the shoes, and featuring a vintage Lou Taylor clutch that she picked up for $3.99. I love the colors in her outfit and that she paired them with a neutral clutch. Summertime chic! This is one of those looks where the accessories are kicking simple outfit pieces up a notch. I like this edgy look on Dawn Lucy! As much as I am a fan of handbags I don’t own many clutches, just three—in red, leopard, and this textured gold straw clutch by the late L’Wren Scott, from her “Serengeti Sunset” collection from Spring/Summer 2011. I picked it up on eBay late last summer, just when I had a gold clutch on my mind. It’s a big one so it fits quite a bit inside and it’s lined in both shimmering gold and pale green leather, so whenever I open it I get to see a lovely little shot of color and shine. I wore this ensemble, with a linen shirt and necklace by J. Crew, to a 4th of July barbecue. The capris are by Old Navy and the metallic flats are by Audrey Brooke. The clutch is definitely a summer piece so I hope to get a lot of use out of it in both July and August! A clutch by L’Wren Scott, from her “Serengeti Sunset” collection S/S 2011. The sides feature shimmering gold, a detail I adore. I love the luxurious green and gold inside of this clutch. 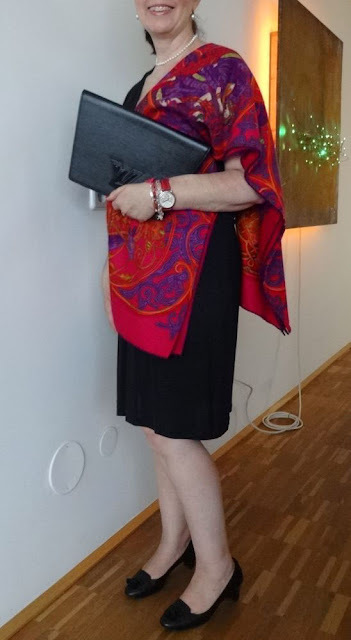 I thought it would be fun to get a shot of the clutch along with the necklace I am still loving—the Crystal Baguette necklace from J. Crew that I bought two years ago. I wear it so much it has paid for itself a few times over! I never get tired of this J. Crew necklace! 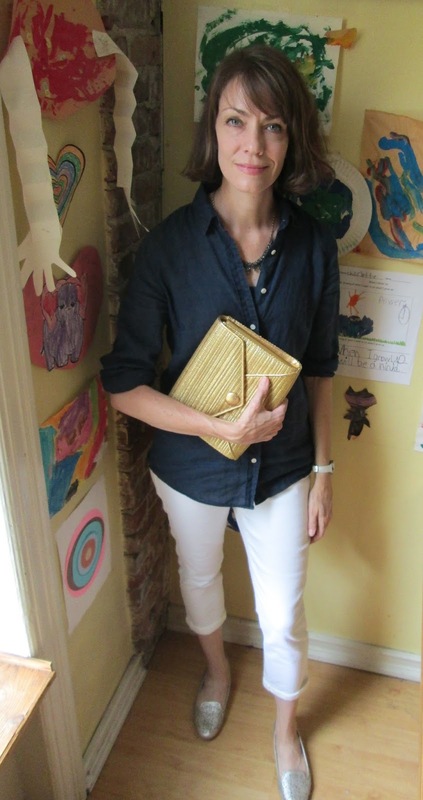 I hope you and your clutch are making all the summer rounds and enjoying the joie de vivre of the season! For August, those dog days of summer, grab your straw hat, you are going to need it to block that sun from your face and keep your cool! Nothing says summer like a straw hat, whether you wear it on the beach or while strolling the boardwalk, whether you are sipping rosé at an outdoor café or sitting in the stands at a Grand Slam tennis tournament. So find your fedora, fascinator, boater or glamorous wide-brimmed number and join us for “How I Wear My: Straw Hat.” Send a photo to us at howiwearmy@yahoo.com by August 3, 2015 and be sure to tell us a little about your outfit! Do swing by Adrienne’s to see even more amazing ladies carrying cool clutches. Fabulous collection of clutches all around! Your gold straw clutch is a perfect summery accent and just right with the navy and white. Thanks for putting this together! A great collection, Jill! I am so sorry I missed this one! But, loved looking at all of the stylish ladies! Thanks for including me in this group of stylish ladies. Love how everyone 'wears their clutch'! Fantastic post! Now I want to go shop eBay for L'Wren bags! Everyone looks gorgeous in their clutch looks. I am looking forward to HIWM #49 next month...Straw Hats. Thanks for another great How I Wear My post! Love all these beautiful looks on amazing women. I have a gold straw clutch very similar to yours and I love mine as well and use it all the time. Thanks so much for putting this together every month. Very nice collection of clutches ladies...Jill I can see you're behind on your 'Den' reading. Everyone is looking wonderful and there are so many really unique clutches on display. I must say the stand out for me was Teresa and that Flame clutch/dress/shoes. Spectacular! All wonderful looks! I love all the fun clutches everyone shared. 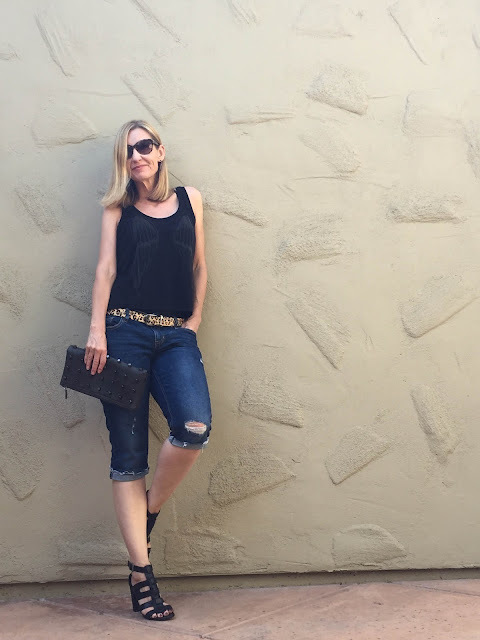 I love the texture of your clutch and a gold one is so versatile. Thank you Suzanne! Also love that vintage pearl clutch and also that L'Wren Scott! I will have to keep an eye out for some of those. 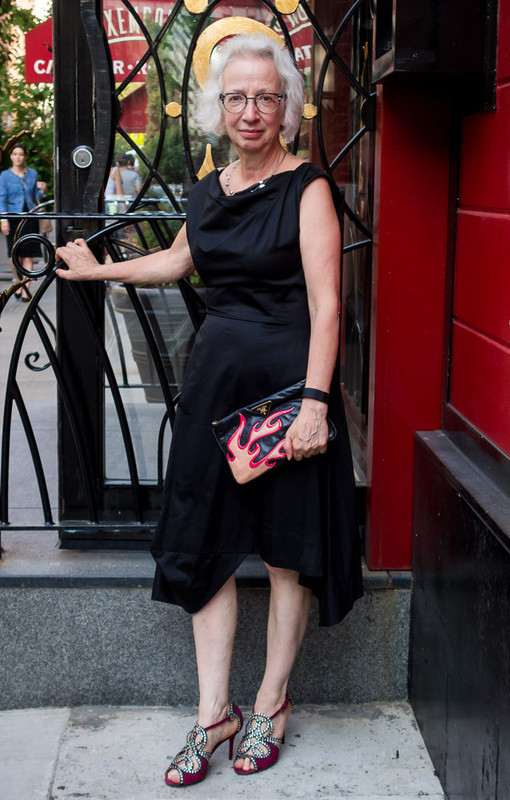 Love your timeless clutch, Jill! The j.crew necklace is great too. Love all the different looks in this month's challenge. I am in love with Teresa's Prada clutch and her VW dress is gorgeous. What a fabulous collection of bloggers, half of whom I follow. Great post. No worries Jill, but you did ask me and I failed in following through. So totally my screw-up, apologies to you! Yes, I have a Panama hat that I love dearly. I will have to take a pic for the challenge! Have a great week, Jill!